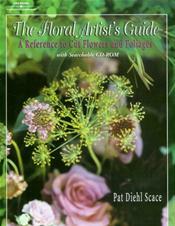 This comprehensive resource serves as a pictorial guide to over 500 different types of cut flowers, foliage, and dried materials for all levels of floral designers. It offers a complete guide to the botanical and common names, pronunciation, family name and related flowers, colors and availability, and the unique properties of each flower. This valuable guide includes information from such sources as the Holland Flower Council, California Cut Flower Commission, and the Society of American Florists. A searchable CD-ROM is included with this resource allowing the user to easily find and sort on multiple fields to make flower arranging and design an easy process. This beautiful, full-color flower guide is sure to inspire creativity.